Although BYOD security gets the headlines, IT managers find issues like device management, scope management and support just as challenging. 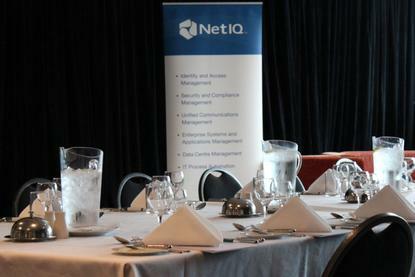 At the recent CSO Australia Mobile Security roundtable, held at AusCERT, 21 guests thrashed out their experiences and concerns. It's clear that there are few holdouts in the BYOD realm, and most of them are constrained as much by regulation, compliance and policy as by inclination. Of a diverse group of organisations, covering business, government, healthcare, education, law enforcement and aerospace, only one—Australian Aerospace—stated a clear no-BYOD policy. Most of the rest said that they're still developing their BYOD policies. It's easier to tar managers with a generational brush—that they expect graduates entering the workforce to accept the same kind of workplace they had, 20 years ago, but that's not so. There's a strong consensus that the HR department has become an important driver of BYOD adoption. The reason? Partly to help attract talent. The arrival of new CEO Robbie Cooke last year has greatly accelerated BYOD, he noted: Cooke is former CEO of the Wotif group, and has brought a new culture to Tatts. “The CEO wants travelling access—we have had to change and turn around very quickly,” Moore said. “Staff need to be enabled to move around, to do their job in more than one location,” he said. And with that support, staff are happier. For nearly everyone at the round table, BYOD is a still-nascent part of their total IT strategy. E-mail access is overwhelmingly the dominant application and there is some caution about extending the application footprint of BYOD. “We have limited the scope of the implementation by design,” said New Hope's Chris Evans. His concern is regulatory: with every action of grant-supported companies scrutinised, the risk that a careless BYOD strategy could undermine the organisation's audit position is significant. “If someone wants e-mail our answer is yes. We are trying to encourage the workforce to be more tech-savvy,” Evans said, but expanding simple access into broader application access is a more vexed question. Stephen McCarthy agrees: “As soon as you get past e-mail, if the BYOD doesn't work, people will demand support from IT,” he said. There's no consensus on the best way to approach mobile device management, but great dissatisfaction in what's currently on offer from vendors. At one extreme, there's no support at all. Kathryn Priol, director of ICT at John Paul College in southern Brisbane, said students are free to bring their own machines, but the college only provides support for its own devices. However, Max Network's Stephen McCarthy said in a business context, support is critical. “Not supporting something is not tenable, because if someone can't do their work, it starts to escalate all through the company anyway. Someone who can't do their work quickly becomes a business problem. And IT ends up in the firing line anyway,” he said. “There is no mobile device management solution that lets you say 'here is an app, now you can forget it',” New Hope Group's Chris Evans said, and the result is that device management falls back to the IT department, with little support from the outside. While cloud services like Dropbox are offered up as solutions, James described it as a “nightmare”. Which naturally raises the question of security: can it be secure? It's a vexed issue, because so many vulnerabilities exist. Yip suggests focusing on identifying and concentrating on understanding the flows of critical information. “Access to information should be controlled and be able to be tied back to individuals—and monitored at all times,” he says. New Hope has a simple, if strict, approach for devices: if someone wants their own device to have access to the business, it comes with strings. When the employee leaves, the device is wiped. “We wipe the whole device if the person resigns,” Evans said. “We allow it, and we have set it up so that we can remotely blow the device away when a staff member leaves,” Evans added. As a regulated entity—gaming being more regulated than practically anything except for healthcare and telecommunications—Tatts Group's Paul Bilic noted that “pushing board papers out to the executives is a security challenge. “Policy and governance are playing catch-up,” he concluded. McCarthy also noted that for Max Network, BYOD brings challenges simply in maintaining access to networks. The BYOD debate has become generalised on the assumption that everybody lives and works in cities. “It's never the user's problem, it's a problem that costs the business,” he added.